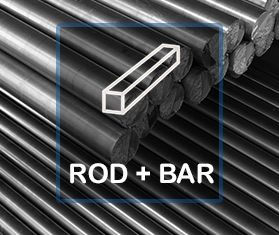 Metal Rod and Bar has been a strength of H&D Steel since 1972. 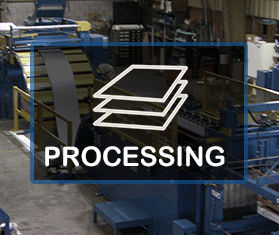 Available processing includes grinding, polishing, and saw cutting. 303 – A member of the 18-8 chromium-nickel family, this austenitic stainless is non-magnetic in the annealed condition and enjoys better machinability from a higher level of sulphur. Weldability is fair. Exhibits good corrosion resistance and is for use where better machinability is desired. 304/304L – An 18-8 stainless, non-magnetic in the annealed condition, with a lower carbon level than that of grade 302. Offers good corrosion resistance in welded applications where it’s not practical for subsequent heat treating. Typical use is in food-related and architectural applications. The “L” version denotes a lower carbon level to avoid carbide precipitation that can occur during welding. 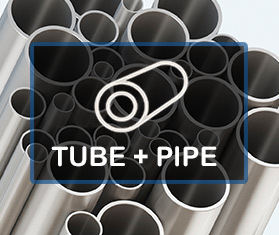 316/316L – The addition of molybdenum finds this 18-8 stainless non-magnetic in the annealed condition and used in applications where an increase in corrosion resistance, as well as the mechanical properties at elevated temperatures, is required. This grade is not hardenable by heat treating. The “L” version denotes a lower carbon level to avoid carbide precipitation that can occur during welding. 416 – This magnetic grade is free-machining, due to added phosphorus and sulphur. Various mechanical properties can be realized by heat treatment. Weldability is poor. Uses for this grade include those applications requiring the mechanical properties and corrosion resistance of a 410 stainless, that exhibits free-machining characteristics. 17-4PH – Meant to be precipitation hardened, so as to realize its mechanical properties at a high level of strength. Readily weldable, its corrosion resistance is good, but can be affected by both heat treatment and surface finish. The information provided within is for descriptive and illustrative purposes, only. Please contact your sales professional at H&D Steel Service Center, Inc., for any needed assistance. 6061 – This product is alloyed with 1.0% magnesium and .6% silicon. It exhibits good formability, weldability, and corrosion resistance. Weldable by all methods, it can be furnace brazed. Typical end uses include boats, transportation equipment, screw machine parts, and structural engineered applications. 6063 – An architectural alloy, it was developed for extruding. It exhibits high corrosion resistance and relatively high tensile properties, along with excellent finishing characteristics. This is the alloy that lends itself the best to anodizing. 360 – This free-cutting brass is the most popular for general screw machine work. 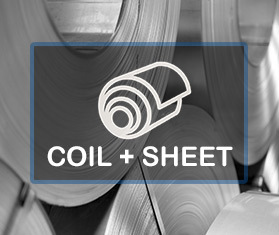 With a machinability of 100, it’s the standard for rating all other copper alloys. 464 – Known as Naval Bronze, it has excellent strength and corrosion resistance.